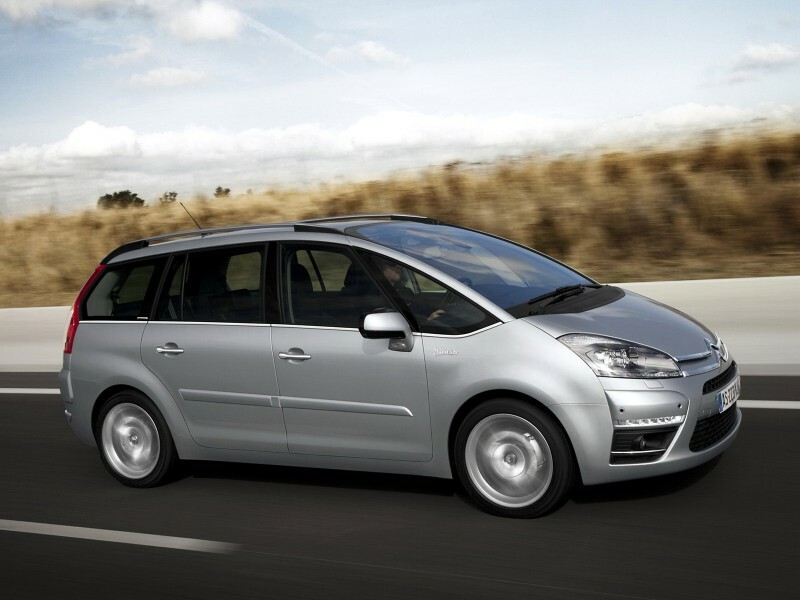 The Citroen Grand C4 Picasso shares the same platform and many of the same parts as the Peugeot 5008 however Citroen manage to put it all together to create a quite different car. One which puts comfort first, has some inimitable Citroen features and is very practical. 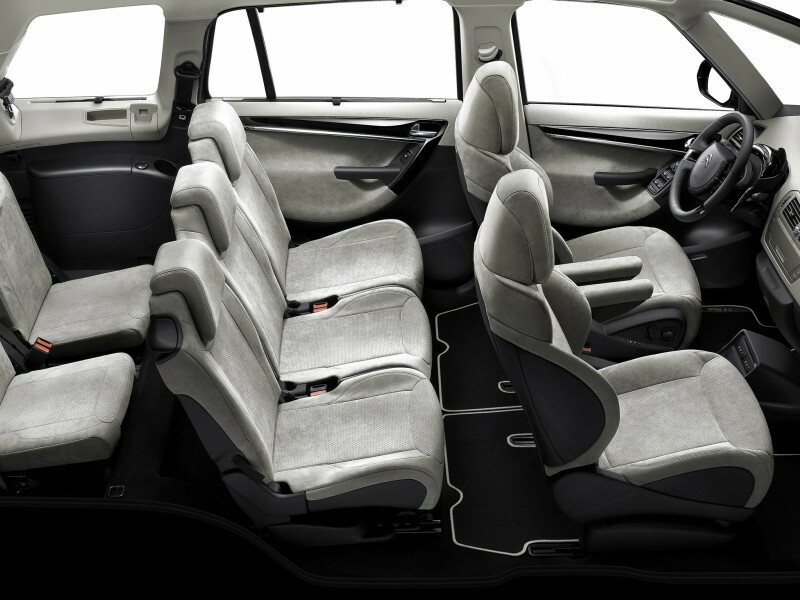 This is a good sized seven seater MPV and unlike many alternatives you get three full sized seats in the middle row. 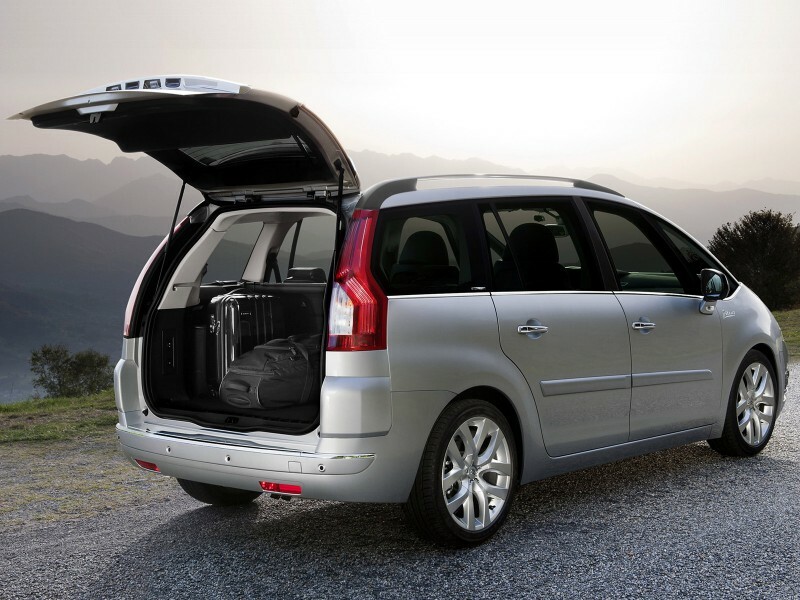 All of which have ISOFIX fittings so this means that you can use three child seats. And these seats move separately so you can adjust the legroom for each seat independently. 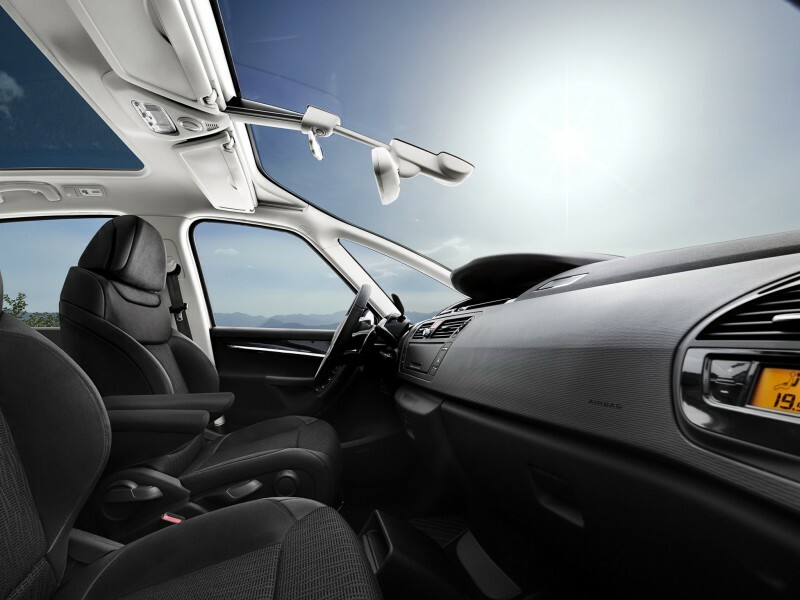 Getting to the back row of seats is always an issue in seven seater cars and Citroen solves this issue very neatly in the Grand C4 Picasso. Just pull a handle on the back of the seat and the base of the chair flips up and the chair can then be slid forwards so passengers can get easy access to the seats in the boot. 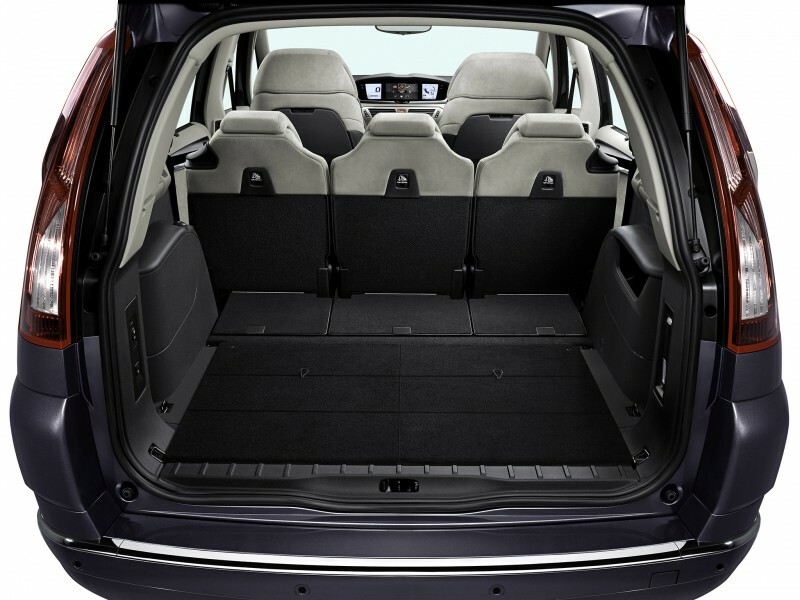 Citroen have put a lot of thought into how families will use this car and provided plenty of storage places and even a cool box that sits between the front seats on some models. 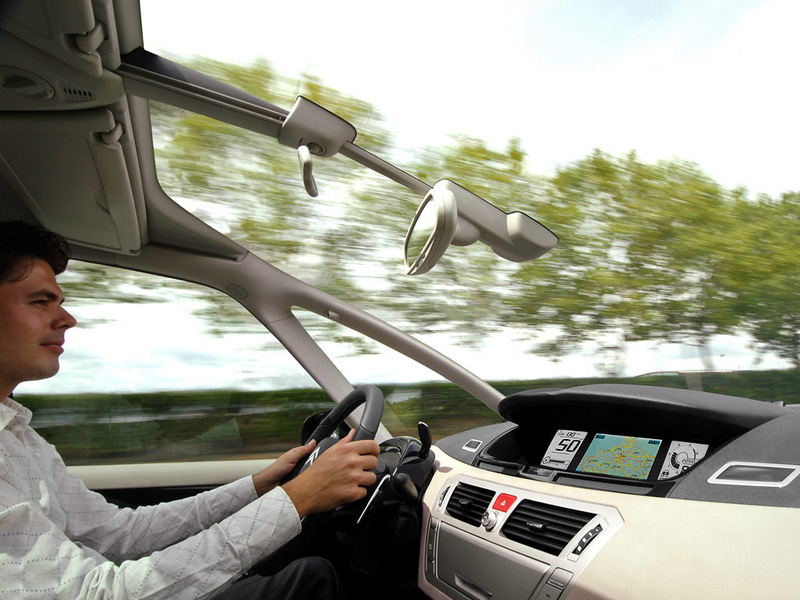 For buyers of seven seater cars safety has to be one of the major decision factors. The car gained 5 stars in the Euro NCAP test. There are six airbags to protect passengers in the event of a crash including front and side airbags and window airbags for front and middle seat passengers. There are many active safety features too. Electronic Stability Protection or ESP is standard on all models. If you’re ready for some more three letter acronyms there are three that increase braking safety: ABS, EBA and EBD. Electronic Braking Assistance automatically applies more pressure to stop the car sooner if it detects an emergency braking situation. Electronic Brakeforce Distribution simply ensures that braking pressure acts evenly on all four wheels to shorten stopping distances. Citroen give the option of petrol and diesel engines with the choice of an automatic on either. If you are looking for a petrol engine I would recommend the THP 155 EGS6 which powers the Grand C4 Picasso to 60mph in under 10 seconds with a top speed of 127 mph and yet returns 40.4 miles to the gallon. Most purchasers of this car are going to be looking at the diesel engines and here there is a good range. Here you effectively have the choice of two engines, both 1.6, either manual or automatic. The HDi 110 does a top speed of 112 mph and 0-60 in 13.1 seconds. The fuel economy is a very good 54.3 mpg but where it shines is if you marry it up with Citroens automatic EGS engine which gives a combined miles per gallon of 57.6 on the VTR+ model. If you are looking for more performance the HDi150 again with the EGS automatic engine is a great option giving a top speed of 121 mph and 0-60 of 11.9 seconds yet still returning a fantastic 53.3 mpg. This level of fuel economy is excellent for an automatic gearbox. The Citroen Grand C4 sacrifices driving feel to a smooth comfortable ride. The suspension is quite soft meaning it doesn’t have the same tight grip around corners as some other MPVs such as the Ford S-Max. A very comfortable car for both driver and passengers. The seats are comfortable and there is a good amount of legroom for all passengers. The suspension makes sure that few bumps are felt in the car and there is even the option of hydraulic rear suspension to make for an even smoother ride. Citroen has not had a good reputation for reliability in the past though the company has worked hard to address this in recent years and owners report that reliability is now fairly average on the Citroen Grand C4 Picasso. The issues to look out for are rear suspension problems; the clutch on the automatic gearbox is prone to failure. The purchase price of this car is about average for it’s type but it is worth mentioning that Citroen dealers will discount the list price if pushed so you may well be able to get yourself a bargain. The car is generally reasonable to run with cheap insurance (groups 14 to 19) and good fuel economy particularly on the diesel engines but servicing can be on the high side compared to rivals. 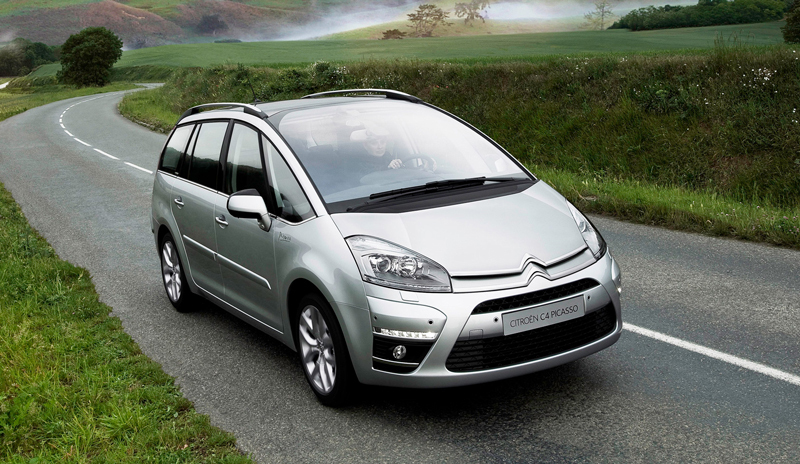 The Citroen C4 Grand Picasso is a smart looking car with plenty of practical space. If comfort is high on your list of requirements then this is certainly a car that should make your shortlist. Citroen have also included a number of innovative features that make this car unique amongst alternatives. There are some fuel efficient and suitably powerful diesel engines and with this car you have the choice of an automatic gearbox that doesn’t hurt your pocket.